Imphal, Feb 7: Amidst unprecedented attention of the state government authority for lifting of the ban to Manipur College by the University Grant Commission over the state authority failure to initiate appropriate legal action against a former in-charged principal of the college involved in the financial irregularities, students’ communities and activists now fear possible similar treatment by the UGC to Pravabati College Mayang Imphal over appointment of a Principal –in- charge of the college by way of nepotism and favoritism . Information sought under the RTI by activist Wahengbam Joykumar reveals that Dr. Nongmeikapam Sharat Singh who was appointed as Principal in charge of the college did not touch the RR provided by the UGC. Dr. Nongmeikapam Sharat Singh, a teacher of Physics Department has been illegally as the Principal-in-Charge of Pravabati College, Mayang Imphal on 29th August 2017 by a Special G.B. meeting which is against the existing Rules i.e. Manipur Education Code-1982. Reliable source said that there is illegal and corrupted practice in the management and administration of the Pravabati College, Mayang Imphal as documents accessed through the Right to Information Act, 2005 revealed that the said Dr. Nongmeikapam Sharat Singh was appointed as a teacher of the said College on 18.12.2014 without any public notification as per rule which is illegal act and corrupted practice. Further it also evident that the said teacher was 42 year i.e. over age when he was appointed being a teacher as his date of birth is 01.04.1972. According to paragraph No.6 of the Manipur Education Code-1982, “a Principal should be the holder of at least a second class Master’s Degree with 10 years experience as a teacher in a Degree College or University or as an Education Administrator and in special cases, of outstanding scholarship with administrative ability, the length of experience may be relaxed up to five years” and as such, Dr. Nongmeikapam Sharat Singh cannot be appointed as a Principal/Principal-in-Charge of the College as he has not have 10 years teaching experience or 5 years and his appointment is a clear cut evidence of illegal act, corruption and favoritism. A complaint regarding the matter has been filed to the Chief Minister Office on February 5 his year drawing his attention to save the future of the college. Meanwhile, there is no question of lifting the ban on Manipur College even though the state Higher Education department has been urging authority to lift the ban to the UGC. 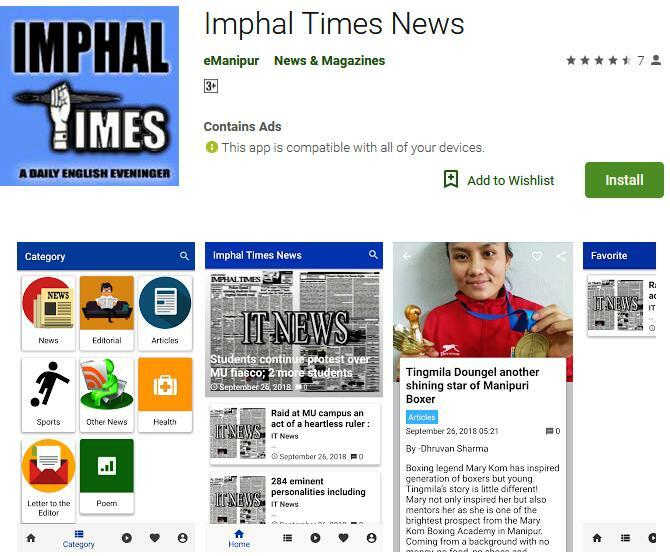 Commissioner of Education Dilip Hawaibam talking to Imphal Times yesterday said that the government is trying all its effort to lift the ban on Manipur College. Source close to Imphal Times reveals that the ban on the Manipur College by UGC will continue until the state authority awarded punitive action to the in-charge principal who was involved in the misappropriation of fund. Dilip Hawaibam said that the State Higher Education Department had done whatever it can and said that removing him from the post of the in-charge principal is a befitting punishment. The answer by the Commissioner Education is in contrast to what the Imphal Times source has revealed. As a mere degradation from the post of in-charge principal is not enough as the UGC authority are waiting for more befitting punishment as according to the law of the nation which has to be deal with corruption.